Bryan and Andrea Crouch have a combined 25 years of experience in the real estate industry. Having started our team together right after the peak of 2005, we are not intimidated by a crazy market, and we have helped our clients maneuver the crazy as well. We keep our head down, work hard and do not allow market conditions to dictate the results for our clients. We persevere and overcome obstacles to dictate those results our clients are seeking. We leave no stone unturned! 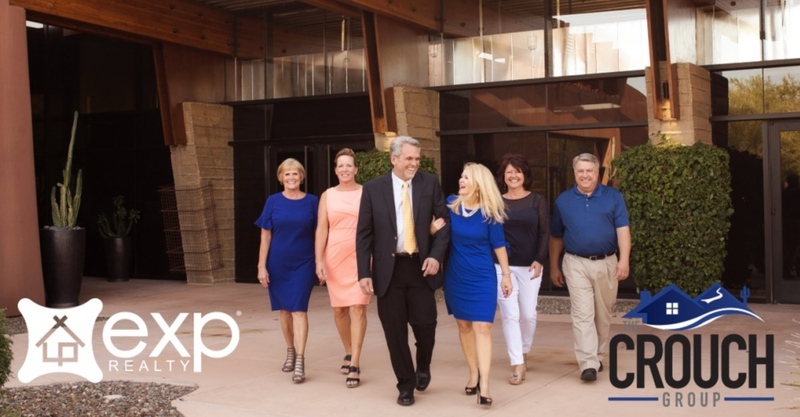 We are members of the “Elite Group” of HomeSmart, which consists of a select group of agents within HomeSmart who have been invited to join a premier marketing group of full-time professional Realtors who meet the qualifications of years in the business and annual sales. This group provides a tremendous value, not only in regard to the limitless resources but also networking opportunities within a group of high-level professionals. We believe in treating clients as family & friends. We feel that helping folks find the perfect place to lay their heads at night is of great importance, and we do not take that lightly. We will be the champions in your corner with the knowledge and expertise to guide you through the transition of moving. It is our priority to make your move as smooth as possible, and we go above and beyond the call of duty every time.